Many surgeons would go for phacoemulsification but it would prone to phaco ultrasound energy related corneal complications, lens capsule and zonules related complications including lens matter drops or zonular dialysis. In other words standard phaco would be challenging and risky despite of best of the phaco machines, OVD and surgical skills. In such cases the role the femto laser assisted cataract surgery (FLACS) is advocated to minimize ultrasound energy related complications. The FLACS is unaffordable to most of the cataract surgeons and patients in the present scenario. 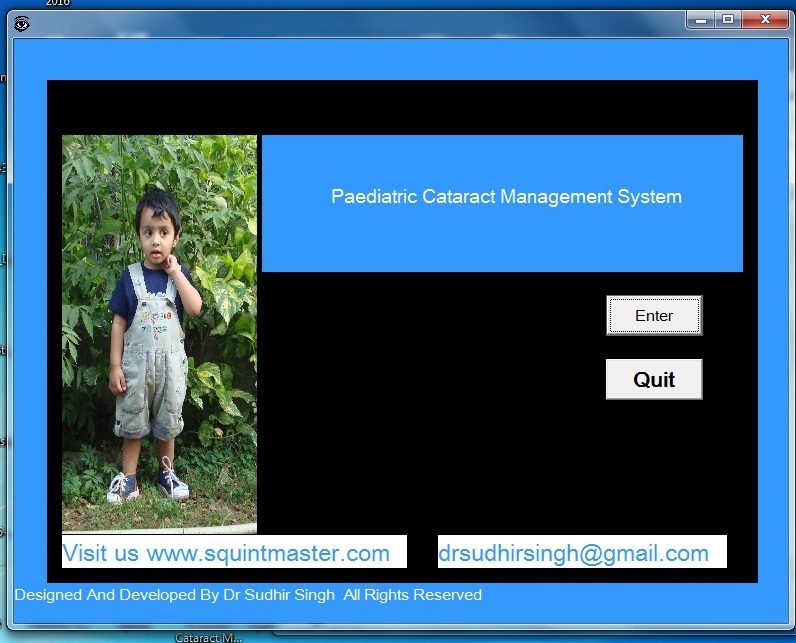 Other par excellence, simple and economical option is manual small incision cataract surgery (MSICS). Hard nuclear cataracts along with morbid pupil and capsular support pose problems to the best of phaco surgeons equipped with high end phaco machines and expensive OVDs. They are prone to ultrasound energy related complications; posterior capsule related complication and nucleus drop related complication. In cases manual small incision cataract surgery is the savior. We are going share a case of grade 6 large nuclear cataract, pupil not getting dilated, capsule was fibrosed and zonular support was poor. This was managed by 6 mm intratunnel phacofracture MSICS. HPMC 2% as viscoelastics and Ringer’s Lactate as irrigation solutions were used. Phaco in such cases may be risky even best of the surgeons equipped with high end phaco machines and expensive OVD. They are prone to ultrasound energy related complications; posterior capsule related complication and nucleus drop related complication. In such cases manual small incision cataract surgery is the savior. Learn MSICS…. It’s simple, safe, reproducible and visual outcome is better in complicated cataract. This was a 70 years old gentleman presented with grade 5 nuclear sclerotic cataract with poor zonular support. Many surgeons would go for phacoemulsification but it would prone to phaco ultrasound energy related corneal complications, lens capsule and zonules related complications including lens matter drops or zonular dialysis. In other words standard phaco would be challenging and risky despite of best of the phaco machines, OVD and surgical skills. We decided to do MSICS in this case. The capsulorhexis was done and two relaxing incision were made as nuclear size anticipated large. The nucleus was tried to rotate in the capsular bag bit it could not be due to capsulo-cortical matter adhesions. The cortical matter aspirated by IA canula and then nucleus is rotated and dialed out in the anterior chamber. Then nucleus was taken out by vectis. Irrigation aspiration is done. PMMA IOL implanted. The sclero-corneal tunnel was sutured with 10-0 nylon suture to control surgical induced astigmatism. Post operative day 1 vision was 6/9 unaided with crystal clear cornea.Patient had 6/6 unaided vision on 4th day post operative. 2. Pupil expending devices and phacoemulsification : Many surgeons adopt this approach but its not free from Phaco ultrasound energy related corneal complications, lens capsule and zonules related complications including lens matter drops or zonular dialysis.